Do you love animals? More specifically do you love big cats? Then Serenity Springs Wildlife Center is a place you must check out. 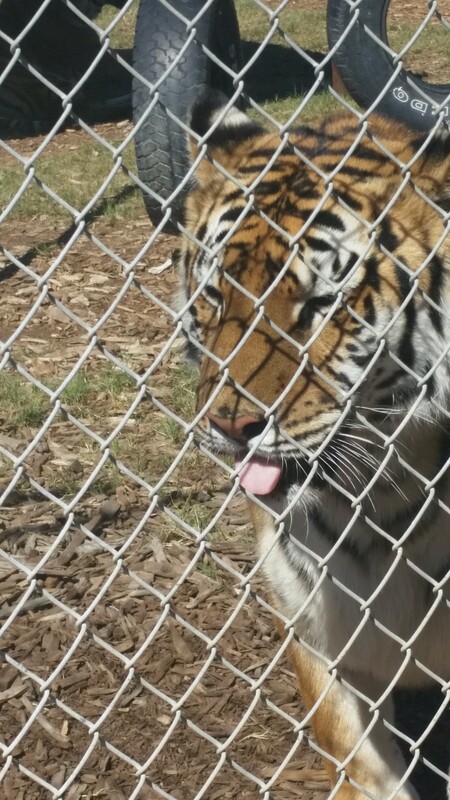 Located in Calahan Colorado, about 20 minutes away from Colorado Springs, Colorado, it is a non-government funded sanctuary for big cats and other animals that have nowhere to go or may have medical needs. 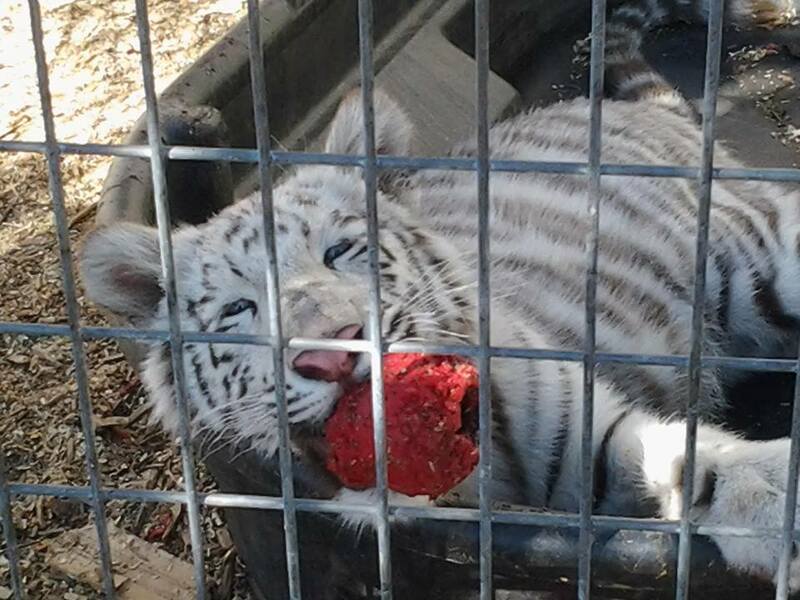 They have tigers, lions, white tigers, ligers, leopards, bears, lemurs and more, all with their own story on how/why they are at serenity springs. Seeing they are not government-funded, they frequently have events to raise money and each tour of the place costs $10 per person, and it is run by volunteers. I went to the last event, Family Fun Day on September 21st. They had burgers and hot dogs, chips and drinks and merchandise of the animals on sale, all the money went to feeding the animals and taking care of them. They also give people the option to adopt one of these amazing animals, but sadly you can not take it home with you. For a monthly fee, that varies on the animal you want, you can see your animal whenever you want and have one on one time with your animal. They only have tours on Saturday and Sundays, at 10 am and another one at 1 am. Throughout the tour you get to hear each individuals story, and just gaze in aw as you are up close with these magnificent creatures. Tiger the Tiger was adopted by a family in Texas to be a pet for their 4 and 6 year old daughters. As Tiger got older and few incidents later, they decided that they were scared of him and called Chris, the owner Serenity Springs, saying that they were scared of their pet tiger and needed him to come get him. Chris got to the animal 2 days later and found it tied to a tree with no food or water. 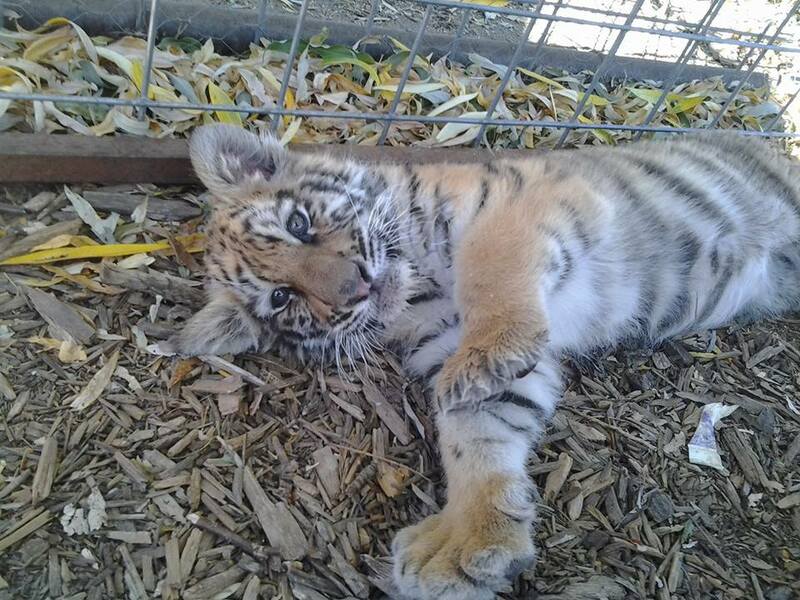 At the end of each tour, if they have a cub, you are offered the choice to pay $25 for play time and photos with a tiger cub! The last two times I went, the event day and my moms birthday, we got to play with baby Milo! He was 8 weeks old at the time of the event. His fur was so soft, and he rolled on his back so I would rub his tummy! Tigers also make this grunting kind of noise called, chuffing, which is telling us that he likes us and isn’t going to bite us; it is equivalent to a pur of a cat.